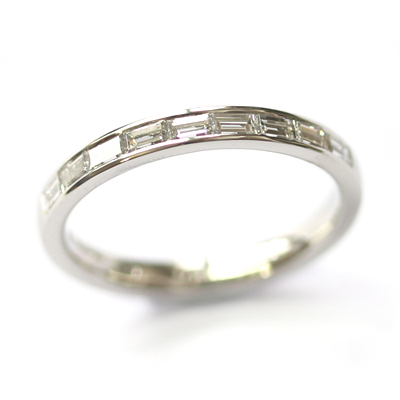 Platinum Channel Set Baguette Cut Diamond Eternity Ring — Form Bespoke Jewellers Ltd.
A beautiful and bespoke eternity ring with channel set baguette cut diamonds. 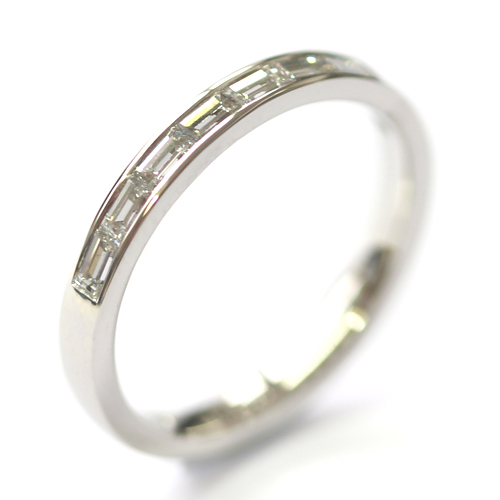 This part set eternity ring boasts a sparkling row of baguette cut diamonds. All the diamonds are of matching colour and clarity and are channel set to guarantee a perfect, tactile finish. The ring has been cast in a trendy and highly durable platinum which complements the white diamonds beautifully. 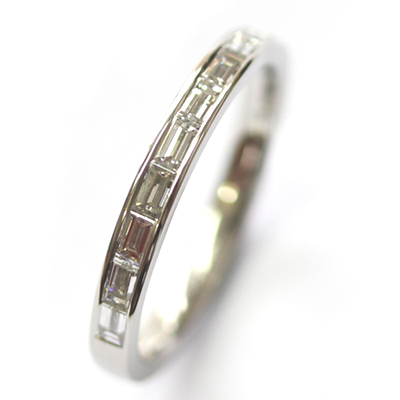 A stunning, bespoke eternity ring with a contemporary twist on the traditional style.